I’ve got to say that it has been a splendid summer thus far with plenty of rain and sunshine and I hope we are as lucky in the following months to produce a bountiful crop yield. 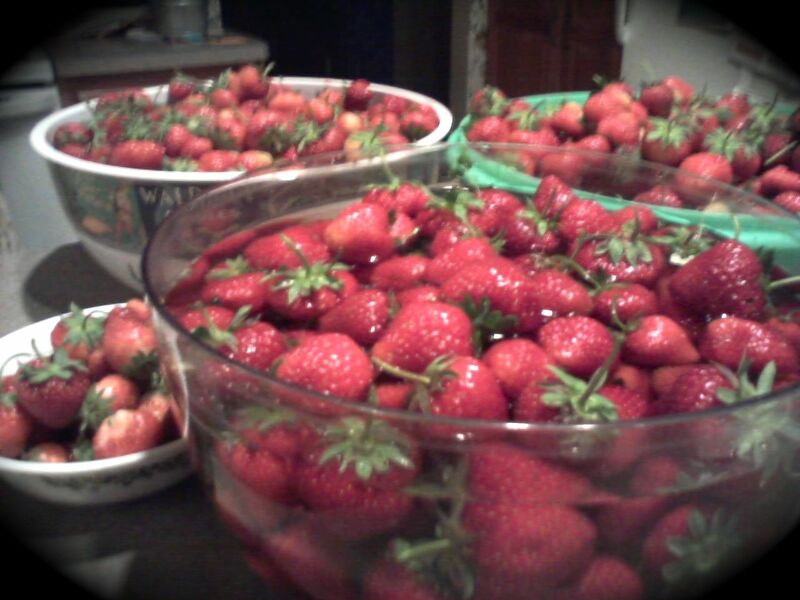 This past week I have picked more strawberries than I could have ever imagined. Being a new gardener as I have been this past year, I have had an eye opener with how much food one can grow within the own boundaries of their yard. I’m telling you, if anyone would wants to cut down on their grocery bill, all they have to do is plant a small garden in their backyard. This trend has become more and more popular in Middleton. Families of all kinds are making use of their lawn and turning them into small gardens. Similarly, more families are starting to realize the importance of eating fresh fruits and vegetables and that is apparent in the new Willy Street Coop that has been established and the Downtown Middleton Farmers Market that is growing. Restaurants in the downtown district are starting to shape their menu around sustainable venders and are informing their consumers about their food origins. As a life-long resident of Middleton, I began to notice that this town is much different than the one I grew up in. Over the years, Middleton has grasped the new concept of living sustainability and I feel that they will continue down this path. It was apparent at the farmers market this past Tuesday when Growing Food and Sustainability held the farmers markets summer kick-off party. There were diverse group of community members that stopped by, each with unique stories pertaining to gardening. Also at the kick-off party we had kids activities as well as door prices from a variety of businesses including Chauette, Pecatonia Valley Farm, Bloom Bake Shop, and Capital Brewery. It is always great to have support from local businesses and community members! This summer is off to a great start and I have so much optimism for the future of this program. It is only the second year and there has been so much improvement already. With the help of our five new interns, there will be tremendous growth with this program and the community at large. I am so excited to spend another summer with Growing Food and Sustainability! Author: Morgan Ripp is a junior at UW-Madison and has been involved with Growing Food and Sustainability from the beginning, in the winter of 2012. This entry was posted in Local Programs, Summer of Solutions and tagged Bloom Bake Shop, Capital Brewery, Chauette, farmers' market, gardening, Growing Food and Sustainability, Middleton, Morgan Ripp, Pecatonica Valley Farms, Sustainability by growingfoodandsustainability. Bookmark the permalink.